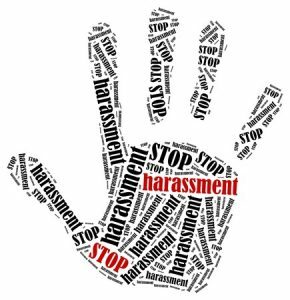 Is Your Company Ready to Address Harassment Allegations? With the recent headlines regarding sexual misconduct allegations against public figures like Matt Lauer and Harvey Weinstein, along with the continuing investigations of other prominent celebrities and the #MeToo campaign, discussion of sexual harassment is at an all-time high. Since more women have come forward with stories of sexual harassment in the workplace, companies are taking a more proactive approach by offering on-site courses to employees on respectful workplace behavior and harassment prevention. Is your company prepared to address these issues? Do you have formal policies in place to ensure that employees feel safe and secure in their work environment? Offensive conduct may include, but is not limited to, offensive jokes, slurs, name calling, physical assaults, threats, intimidation, insults, offensive objects or pictures, and interference with work performance. Review your current employee handbook to ensure that your company has a current and actionable anti-harassment policy. Communicate and reinforce to managers & supervisors that any form of harassment will not be tolerated in the workplace. Provide a refresher training on maintaining a respectful workplace or sexual harassment prevention. Ensure all leaders are accountable for recognizing and bringing forth any allegations. If a complaint does arise, do not dismiss or ignore it. All complaints should be reviewed and investigated to determine the appropriate next steps. Follow your outlined company process for addressing the complaint in a timely manner. Employees are looking to their company leadership to foster a safe and respectful workplace, thus creating a healthy company culture that does not tolerate harassment. Organizations that dismiss or ignore complaints of harassment will find themselves left behind, and potentially making negative headlines that will be hard to escape in both the short and long term.